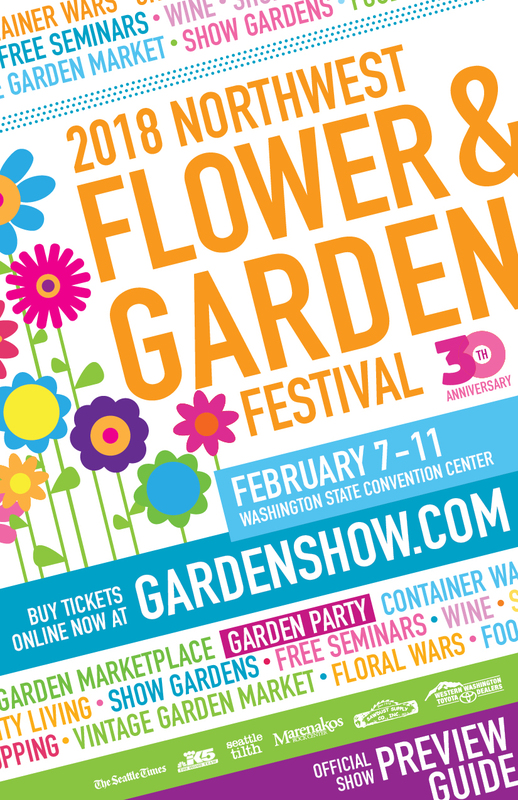 Come check out our display garden at this year's Northwest Flower and Garden Show at the Seattle Convention Center, February 17th-21st! Our garden will feature a New-York-Themed Catio (Cat Patio), showcasing fun and functional ideas for creating a safe space for our furry friends in a small area. Humans are of course welcome to enjoy the garden too, as long as they don't mind watching a live production of "Cat Pads! on Broadway", as our kitties strut across their very own Brooklyn Bridge Catwalk, bounce on Broadway, preen on 42nd street, and take in the sights of the South Street Pawport. The garden will showcase a custom-built wooden cat-containment fence designed to keep cats in without overly reducing visibility from a terrace or balcony, and will include a plethora of perches, eating, drinking and play areas for cats, and a custom catwalk designed to allow the cats to circumnavigate the entire garden from a high vantage point. Perhaps most importantly, our plant material is specifically selected to be non-toxic to cats, and any irresistible plants with noted toxicity will be cleverly protected so they will be inaccessible to cats, but may be safely enjoyed by humans. If you have cats, love cats, love New York, have a small balcony, terrace, or patio, or even if you are looking for tips to keep your neighbors' cats away from your favorite plants, you won't want to miss out on our fabulous kitty couture garden! Ahead of opening day, we always map out our daily NW Flower & Garden Show musts. If you’re still not sure how you’ll spend your days at the show, here are our Top-10 musts for 2016. Fancy Fronds’ show garden entitled New York, New York. Cat Pads! on Broadway. If you haven’t seen a Fancy Fronds display at past shows, you’ve really missed out on some crazy-good fun. A bit of whimsy at Fancy Fronds’ Fronderosa Frolic 2015. There’s bound to be more fun in their 2016 NW Flower & Garden Show display garden! We got a little hint at their show garden ideas last summer at their ever-popular Fronderosa Frolic fern-y goodness fair, and we’ve been excited to see it ever since. If you share your garden with cats or would like to figure out how to bring your indoor cats outside, odds are this garden will give you some great ideas. Even pros like us get stumped by kitty-cat gardening challenges. So see you there to learn & laugh! This year we will be designing a vignette garden for the City of Everett, Washington at the Northwest Flower and Gardens Show in Seattle February 11th-15th! Judith and Vanca will be on-hand to answer plant and design questions and to offer creative garden solutions for small spaces.